Old church management software systems were housed locally on a PC in the church office. Even with the proliferation of the Internet, some ChMS companies are holding on to this archaic technology. Why? Because so many of their customers are still hanging on to it. You know who I’m talking about: the lady who has been seated in front of that church computer since 1981. She was 30 back then, but now she’s 65 and she’s getting more resistant to change every year. Someone made her upgrade her monitor from monotone green to 256 color VGA and she was impressed. Then she thought it was great how easy it was to switch from a DOS-based ChMS to a Windows-based platform. But somewhere along the way she became a little rigid. She quit liking upgrades and changes and she started grumbling about them. Now she threatens to ex-communicate anyone who even proposes software upgrades. She’s been using that same ChMS system since 1997 and she isn’t changing! Okay, I might be getting carried away, but you know what I’m talking about right? Traditional ChMS companies thrive on old clients who don’t change much. But the advantages of online-based or “cloud-based” church management simply can’t be overlooked for long. There are some ChMS companies who have been cloud-based since their inception and those are the companies who are growing. Here’s the bottom line: churches who don’t adapt their methods and adopt cloud-based ChMS software will fall woefully behind their competitors. Who are their competitors? Any organization who out-performs the church in the eyes of the parishioners. Your church members compare your children’s check-in procedures to the check-in procedures at their day care. If the day care has a great technological solution for check-in, parishioners wonder why your church doesn’t. People compare the systems they use at work with the church management system your church uses. What do they think? Do they think your church is in the stone age or do they think, “Wow. My church is on the cutting edge”? Churches who lag behind technologically will begin to feel real pressure to change to more relevant software options. Cloud-based ChMS allows church leaders to access their data any time, anywhere. This is huge for pastors because they have jobs that require them to work any time, anywhere. Furthermore, pastors are using other services for banking, shopping, TV, movies and social-media that are all web-based. 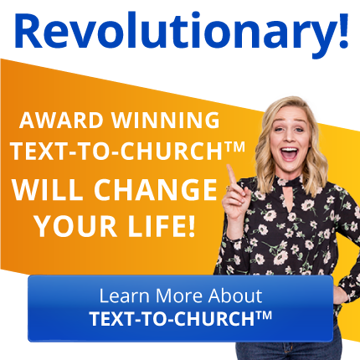 So of course they want their church software to be just as easily accessed. Eventually, the shift will become so dramatic that old-non-adapting church management companies will go out of business. Churchteams is a great example of an online-based CHMS. They offer their software as a service through subscriptions. Users automatically get every upgrade and update. Data is accessible any time from any internet-ready device. And every feature of their product is available to every client. Every client gets equal treatment and has equal access to everything the software offers! User demand for this kind of company and this kind of product is growing FAST. Traditional ChMS providers are beginning to lose clients. Only those who adapt will survive. 3) Online Security will Continue to Improve. Are cloud-based church management products safe? Yes. This is because ChMS service providers MUST keep it safe. If they lose your data, they lose your business, and that of everyone you tell. Data safety is not an option. Service providers have a vested interest in the safety of your data because your security means their longevity, so they work round-the-clock to make sure your data is safe. Not only in the church management industry, but in all cloud-based industries, security is constantly improving. Default encryption, multi-factor authentication, location security and layered security precautions are getting better and better all the time. The simple fact of cloud-based security is this: your password is the greatest opportunity for weakness. Passwords like “password”, “office”, or “computer” are foolish. They are simply not safe. This is why many providers require users to incorporate special characters, numbers, capital letters and lower case letters in their passwords. At the end of the day, password security is on you! Customer feedback has been permanently altered by the Internet. Customers can leave negative and even hateful feedback without any recourse. This is a harsh reality for businesses, but rather than bemoaning the fact, businesses need to channel and use negative feedback. Church management companies like Churchteams are always on the lookout for feedback, both positive and negative. Thanks to the Internet, the time between feedback and product-change is getting shorter and shorter. Companies who adapt quickly will soar. ChMS companies who don’t will crash. 5) ChMS Companies Will Beam Church Members Directly From Their Homes to Your Church! Okay, this isn’t really a prediction, but it sure would be cool! The point I’m trying to make is this: change is inevitable. Therefore only product providers who change effectively will thrive in the future. Oh yeah, and here’s another point: tomorrow’s changes start with today’s technology. Companies who think ahead based on today’s trends are the likeliest to thrive.